Get Top Cash For Cars across South Auckland UpTo $8999 Call Us Now! Selling your car in South Auckland? Leave all your worries behind with ONE call to our customer service agents at Auckland Car Buyers! Call us now at 0800 114 320 to get a free car removal in South Auckland. Once you call Auckland Car Buyer, you will not have to worry about the quotations that you receive from us. All our quotes are free of cost, and they are given to our customers by experts who have been in this industry for more than a decade. The staff is inclined towards giving you the best experience with us, and the best deal on your old, unwanted car. Call Us: 0800 114 320 or Submit online form! Auckland Car Buyer is a car removal company that functions in various parts of Auckland. We give cash for cars (South Auckland and nearby suburbs) for all types of cars, trucks, utes, SUVs, 4WDs, minivans and more. We pick your vehicle up for free, and there are absolutely no hidden costs involved in the transaction. No other Auckland Car Removal company will offer as much as we do, up to $8999 in cash, instant cash! Our tow trucks are drivers are ever ready to serve our customers in case of a demand for any removal services. We will pick up vans, utes, SUVs, cars or 4WDs. Irrespective of their condition, we are willing to do the car collection from your premises or mentioned location. 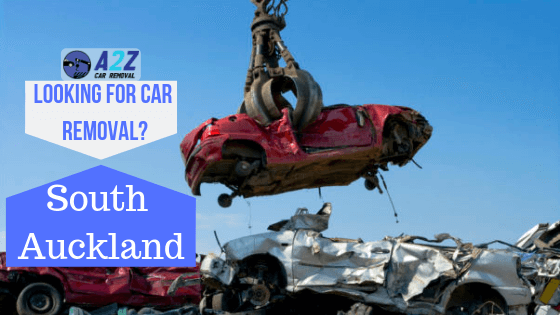 You have the opportunity to get the best car wrecking service paired with top dollar cash quotes for your car, go on and grab it NOW! Call us on 0800 114 320 for the best cash for cars service in South Auckland. Auto Removal Services in Auckland are not too rare, but Auckland Car Buyer is the service you are looking for. The most reliable and most convenient service that is available in Auckland for car sellers who want to sell their car is Auckland Car Buyer. We will pick your car up from all suburbs in South Auckland, just call us and find out about our services. Don’t wait anymore! Just call us NOW to get the best deal and trade your car for cash TODAY with Auckland Car Buyer. Call us TODAY on 0800 114 320 and get your quote!